On August 4th, we observed the 100th anniversary of World War I, a war which mankind had never seen before and has not seen since. Although World War II was more widespread and devastating, nonetheless World War I was more brutal and had much deeper consequences than World War II. It is ironic that we find ourselves now, one hundred years later, in a situation very close to what it was in 1914. For the great powers of the world are lined up against one another because of a tiny conflict in a relatively small and weak country. Here I do not wish to take a side in this internecine conflict in Ukraine. I simply want to point out a few inconsistencies. Fact #1. 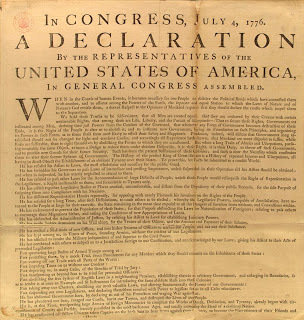 The United States is a nation which enshrines in a kind of temple in Washington a document which states: “… whenever any Form of Government becomes destructive of these ends, it is the Right of the People to alter or abolish it, and to institute new Government, …” This is the Declaration of Independence, which canonizes — falsely — as man’s solemn right the right to revolution. Fact #2. The United States is a nation which was born by means of a Revolutionary War against a legitimate government in order to become independent of that government. Fact #3. 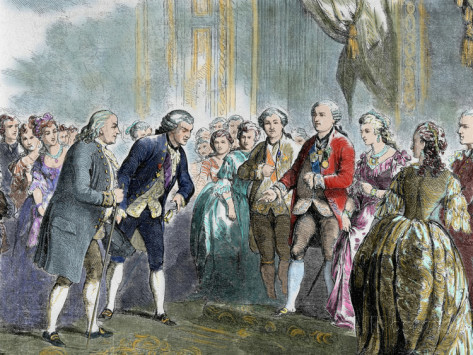 The United States sent Benjamin Franklin to Paris for the express purpose of urging the French monarchy to give money and arms to the separatist rebels, which King Louis XVI generously provided. Fact #4. This same Benjamin Franklin convinced France to declare war on Great Britain in 1778. France subsequently landed troops in America and used its navy to effect the independence of the United States. Fact #5. In 1861, the southern States of the United States, citing the principles contained in the Declaration of Independence, dissolved their ties with Washington and formed their own republic. 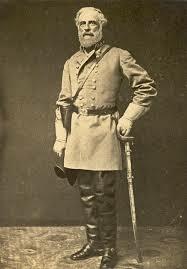 The soldiers who fought in this rebellion are not considered scoundrels, but have been glorified into national icons, e. g., Robert E. Lee. Fact #6. These same southern States made a great effort to convince England and France to intervene on their side. Both of these countries, however, had the common sense to stay out of the war and let the civil conflict take its own course. When one considers these historical facts, how can the United States, while remaining consistent with its own principles, oppose the separatist movement in Ukraine? If the separatists are convinced that Kiev is an oppressive government, then would they not have the right — according to American principles — to declare independence from it? How could the United States consistently oppose their appeal to Russia for help, or object to Russia’s helping them with money, arms and even military intervention? Was this not the precise policy pursued by America in 1776 in seeking similar help from France? The very person who negotiated this help is enshrined on America’s one hundred dollar bill. It should also be recalled that Yanucovych, the pro-Russian president, was a validly elected and sitting president of a democratically ruled country. Although democracy is an awful form of government, nevertheless one of its blessings is that it provides for a change in government very frequently, and by peaceful means. If these peaceful means are observed, democracies remain stable. This is the experience of the United States. The American people always have had the patience to wait for an election in order to oust their corrupted or otherwise hated politicians. How then can the United States favor a revolutionary coup d’état against Yanucovych, a sitting democratically elected President? Banana republics oust their unwanted politicians, but not serious nations. Furthermore, it should be pointed out that it was the supporters of the present Kiev government which lit the fires of revolution in their own nation. Just like a forest fire, the sparks from Kiev made their way to eastern provinces. If anti-government forces can rise up against a legitimate government and oust a sitting president, then why cannot separatist rebels rise up against a self-appointed junta in Kiev? Indeed, are not the separatists supporting the legitimately elected government of Yanukovych? 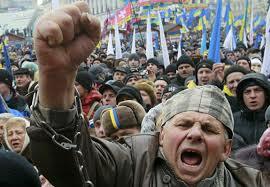 It was also the revolutionary government of Kiev which outlawed the Russian language in the whole of Ukraine. It must be understood the eastern provinces speak Russian and not Ukrainian, and that the people belong to the Russian Orthodox Church, and not to Ukrainian Orthodox Church. Could we imagine what would happen if Ottawa decreed that French was banned in all Canada? The Kiev junta rescinded this ban, but the damage was done. They had demonstrated their hatred for the east which has strong cultural and religious ties to Russia. In 1962, the United States came to the brink of nuclear war with Russia over the installation of missiles in Cuba which could strike the United States. So why is the United States surprised that Russia does not want to the see the NATO military alliance in its own backyard? Scotland will shortly vote on whether to be independent of England. Why is that considered a perfectly legitimate choice for Scotland, whereas the eastern provinces of Ukraine are considered criminals and “terrorists” for desiring the same separation? Why are they vilified for wanting to be independent of a Kiev that hates them? 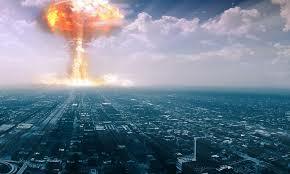 Civil war and wars of independence are sometimes necessary evils in order that nations solve their own problems. Tempers are so hot that only war will resolve their differences. A lasting peace is most frequently the outcome of such wars, since the vanquished are at least satisfied that they did everything they could to reach their much desired ends. When a storm has built up, it must run its thunderous course in order to achieve equilibrium in the atmosphere. The lesson to be learned for World War I is that everyone should leave Ukraine to solve its own problems. If the great powers of Europe had permitted Austria and Serbia to have a little Balkan war, this war would have emerged in history books as just one more Balkan War in a series of wars which had taken place in that region for a long time. What is drawing the interest of the West in the Ukraine conflict is, in my opinion, the lust for the New World Order which George H.W. Bush announced twenty-five years ago. 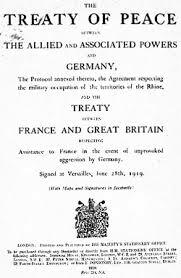 This New World Order mania is the product of none other than the Treaty of Paris which concluded World War I. It is a scheme of dreamy leftist idealists who want to organize the world on purely naturalistic principles, believing foolishly that such an “order” will bring a lasting peace to the world. No one questions that the decisions made in Paris and at Versailles in 1919 were very strong contributive causes of World War II and of the current disorders of Iraq. The West’s punishment of Russia over its involvement in Ukraine is pushing her towards China as an obvious ally. And so the stage is set for World War III: The U.S. allied to a very weak Western Europe against two very militarized giants: Russia and China, and all over a tempest in a Ukrainian teapot. This entry was posted in Crisis in Ukraine and tagged Ukraine. Bookmark the permalink. World War I was almost conceded in 1916 with Germany offering generous peace terms.The Balfour Declaration and the Jews desire for Palestine brought the U.S. into the war and made it last 2 years longer. In reference to recent news about SSPX. I have read that Bishop Fellay expressed hope for a new possible agreement with N.O. Do you think this will be the final deliberation…..that SSPX will finally sign ….? What do you think…?